Why should you list with Shelly Reed and Century 21 NorthBay Alliance? This is such an important question. Far too often, sellers list with the first agent they interview; only to be sorely disappointed when they find out that their agent did not have the proper marketing plan, nor the ability to get their home from listed to sold. Below are five reasons why you should trust Shelly M. Reed as the best real estate agent to sell YOUR home. Because In Real Estate, Numbers Don’t Lie. – Shelly M. Reed is a real estate agent partnered with Century 21, the World’s Top Leader in Real Estate. 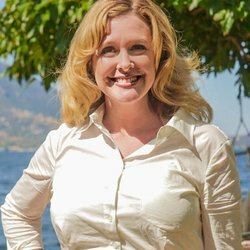 She sells an average of 8-11 Million dollars a year in Lake & Sonoma County Real Estate. Because She Knows The How & Where To Finding Buyers For Your Home. – Shelly M. Reed utilizes all avenues available to market your home. Did you know that95% of all buyers spend 6 months shopping for real estate online before they ever come into contact with a real estate agent? In addition to a known physical presence & print marketing materials, Shelly filters your home into 500 of the most powerful websites for selling real estate. This ensures that your home in the forefront of all of the major real estate search engines & therefore have every opportunity to be seen by potential buyers looking for your home. Because She Puts Your Homes Best Face Forward. – It is a truly rare gem to find a real estate agent as invested in your homes image as Shelly M. Reed. Shelly knows that buyers spend 60% of their time looking at listing photos & she refuses to waste those valuable minutes to capture a potential buyers attention. She utilizes her innate sense of creativity & aesthetics to offer stellar staging advice and help to showcase your home at the best it can be in the professional listing photos & further in in-person showings. She has partnered with ImageReed Photography & Video Services to create high quality media and images that capture the true essence of your home and its unique features with first-class photography and videography. Homes with professionally photographed images can sell for up to 19,000 dollars more than homes that go without. Shelly M. Reed is a real estate agent not afraid to invest in making sure you get the best price for your home. Because She Invests In The Community. – Shelly knows that as your real estate agent, she is not only selling your home but also Lake County itself. As a Certified Tourism Ambassador, Shelly regularly takes time to be involved in public events and utilizes her partnership with ImageReed to showcase the stunning beauty of lake county & its inclusive, adventurous, community spirit. Because She Is At the Forefront of Innovative Real Estate Marketing. – Shelly M. Reed is constantly at the forefront of the newest marketing methods. She is regularly educating herself on new and better ways to achieve success and utmost satisfaction for her clients. Her efforts consistently pay off as she has been awarded Centurion President’s Producer & Quality Service Pinnacle Producer for the past 3 consecutive years.